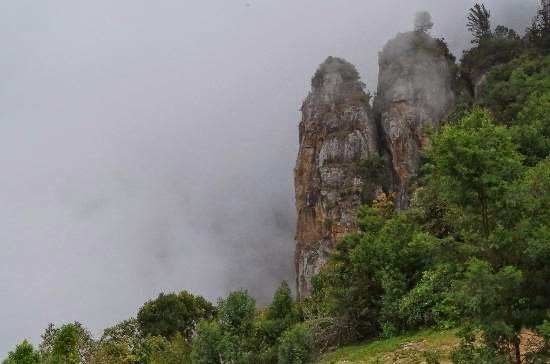 which can be considered as one of the most exclusive tourist destinations around Kodaikanal. Massive granites that measures the height of around 400 ft stands still like a terrace and provides traveler a delight of podium where they could stand to revere the brilliance of the surroundings. where traveler would have an opportunity to understand the characteristics of tender buds. The veil of shadows that covers the either side of the rocks speaks about the massiveness beside that an ample sheds that portrays the half of the field skips the intensity of the sun ray which in turn allows picnic lover to get behind it to execute their plan. Hidden nooks of the pillar acts as surreal charm beside that its sensation has no limit where you can try assorts of adventure. Sit relax and avail your thoughts that could be the best thing you can look to offer while interacting with nature beside that traveler can try to carve their picnic plans which is amongst the most designated things one can look to do while coming here. Trekking could be another prospect while coming here as the nearby locations like 80 mile round which is located at a handful distance of 3 km is renowned for trekking trails so adventure lover can always walk here to pinch their adventure thirst. An eerie ambience of the surroundings serves as a scenic point from where traveler would have a pin point view to understand the glory drop dead gorgeous so you can always buy a leisure and hazy time to revere the brilliance of the site. Although it is a year round destination but traveler can come here during the months of summer to experience the best of Pillar rocks. While coming here traveler can sense a herald of opportunity, which in turn would land them to nearby attraction where they can ease your mind to see the potency of the nearby surroundings such as Green valley view point, Kodaikanal Golf club, Guna caves, fairy falls, Moir Point, Swedish church etc. Pillar rock is a basic Family friendly destination so we would recommend traveler to hop in with their respective groups to enjoy the scenes with the feeling of togetherness.